As part of World Water Week, which took place from 26 to 31 August 2018 in Stockholm, Sweden, the World Bank announced the launch of a series of bond issuances to raise awareness on water for the world of finance. The World Bank has made its first issuance of Water bonds to finance water projects. 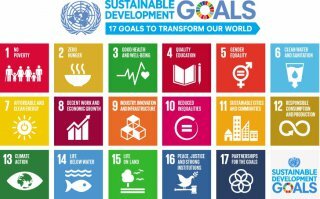 This program aims to meet the 17 Sustainable Development Goals (SDGs) adopted in 2015 by the United Nations. Indeed, water is a crucial issue for our society, said Kristalina Georgieva, World Bank Chief Executive Officer : "Seventy percent of the planet’s surface is water, yet degraded ocean resources and lack of access to safe water negatively affect the lives of hundreds of millions of people." These Water Bonds aim to raise at least $ 3 billion and will give investors the opportunity to highlight their support for the Sustainable Development Goals related to water, sanitation and marine protection because "we must protect our water and marine resources today for the generations of tomorrow" adds Kristalina Georgieva. Moreover, in the wake of this announcement, the International Bank for Reconstruction and Development (IBRD), a subsidiary of the World Bank, has made a first operation worth one billion Swedish kroner for a maturity of 7 years. For information, the World Bank has made more than $ 37 billion in water-related investments, including a portfolio of 170 projects valued at $ 26,7 billion, as well as projects with a water sector-related component totaling approximately $10 billion.